Home / Politics / MOSES KURIA warns Rift Valley leaders against threatening KIKUYUS over RUTO’s presidential bid in 2022 – You might see fire! MOSES KURIA warns Rift Valley leaders against threatening KIKUYUS over RUTO’s presidential bid in 2022 – You might see fire! 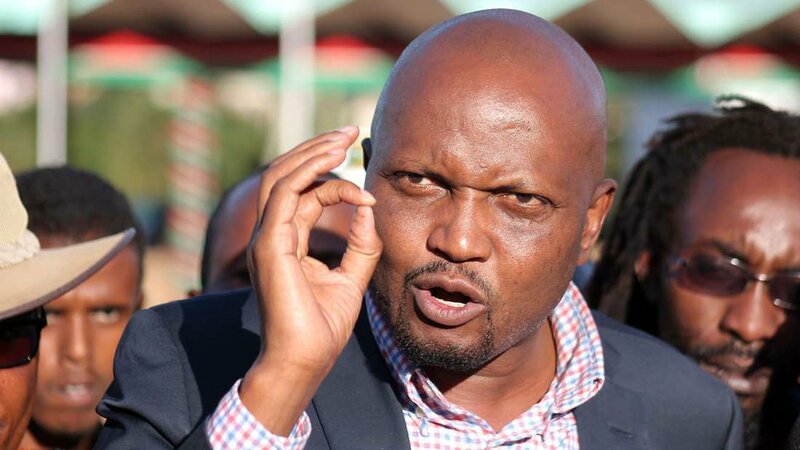 Saturday April 13, 2019-Gatundu South MP, Moses Kuria, has warned Rift Valley politicians against threatening members of Kikuyu community living in the area. Some leaders led by Bahati MP , Kimani Ngunjiri have been warning Kikuyu community living in Rift Valley of dire consequences should they refuse to support Deputy President William Ruto’s presidential bid in 2022. But speaking in Nakuru on Friday, Kuria expressed his displeasure towards the leaders saying everybody has a right to vote for a candidate of his choice. “Leaders should not intimidate other communities that there will be violence should they not support Ruto’s 2022 bid. That is not wise,” said Mr Kuria in Wakulima Market in Nakuru on Friday. But Bahati MP Kimani Ngunjiri quickly dismissed the assertion made by Kuria, saying no one was being intimidated with violence should they fail to vote for Ruto. “I want to dissociate myself from sentiments by Kuria. What he has said in this meeting is his own views and I should not be associated with that,” Ngunjiri said. mungiki, stop threatening the kalenjins, in your usual schemes of planting your crimes and blaming on other tribes. you guys are your own problems and please keep the kalenjins out of it.